The 2018 Playoff Celtics: Putting the "T" in "Team"
There's no "I" in "Team." There are virtually countless clichés associated with teamwork. However, the one phrase that the 2017-2018 Boston Celtics have run with all season long is no cliché. Next man up. That's been a way of life for these injury-riddled Celtics. When Gordon Hayward went down before most fans had made their way to their seats on opening night, stellar rookie Jayson Tatum (thank you, Danny Ainge) and Jaylen Brown (thank you again) stepped in. So too Did Marcus Morris. When Kyrie Irving missed a stretch of games with knee soreness, who was there? Drew Bledsoe's newest friend, "Scary" Terry Rozier III. What about Big Al Horford? He missed ten games this season. You might not remember because Daniel Theis and Aron Baynes came in and did work in his absence. But then Theis went down late in the season with a torn meniscus, ending his season. Enter Al Horford and, once again, Aron Baynes. Not to mention the nice guy/freight train hybrid that is Semi Ojeleye. That was the regular season though. Aside from knowing Hayward wouldn't return, we were pretty locked and loaded for the playoffs. Yeah, Kyrie would be coming off a 3-6 week layoff post wire-removal surgery from his knee. All excited to have a mega-clutch superstar on our side, especially what we all knew would be an Eastern Conference Finals matchup with his former team, suddenly, Kyrie was out again. Oh yeah, and this happened too. Boston Celtics guard Marcus Smart has suffered a torn tendon in his right thumb, league sources tell Yahoo. He will have second opinions on his thumb and be out indefinitely. Sans Kyrie and Marcus Smart, who would be the next man up? In Boston's case, it was the next men up. Rozier would continue to instill fear in opponents. As did the ever-underrated Shane Larkin. Towards the end of the season, even Kadeem Allen and Jabari Bird contributed. When their numbers were called, [fill in Celtics player name here] performed. There goes another sports cliché for you - always be ready. Because you truly never know when you'll be called upon to shine. And when you are, if you don't shine, you'll be back on the pine. That hasn't been an issue for these Celtics though. All year long. And especially over the course of the recent playoff run, the Celtics rose to the occasion. 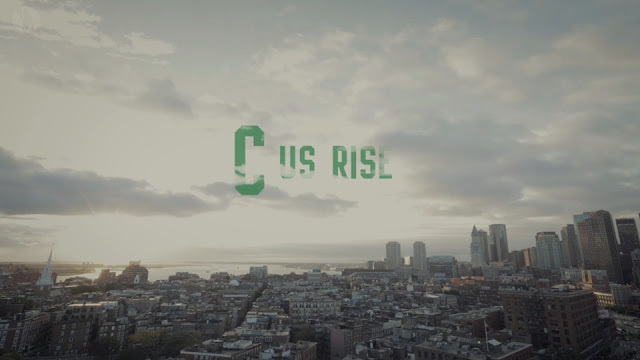 SEE US RISE, emphasis on the "US" part. We as fans most definitely did see them rise; not one by one, but as a collective unit. · They had the leading scorer twice. · They had the leading rebounder twice. · They had the leading passer four times. That's called winning by committee. Winning by committee indeed. In other words, they played team ball. Much like the Oakland A's did in "Moneyball," the Boston Celtics, mighty underdogs, listened to Coach Brad Stevens and continued to hit single after single, winning game after game in the playoffs. Which is probably why so many non-Celtics fans fell in love with them. As a native Angeleno (born and raised in LA with paternal roots from Belmont, MA. ), I've had countless Los Angeles Lakers fans profess how the Celtics have been an amazing story -- and have been fun to watch. Was that because Jayson Tatum is a prolific phenom who, at the rookie age of 20, has little to no holes in his game? Was that because Jaylen Brown asks to guard the opposing team's best players then, on the other end, wants nothing more than to shove the ball back down said opponents' throats? Was that because Marcus Smart, fresh sling on his newly, surgically-repaired finger, literally and figuratively risks life and limb on every possession? 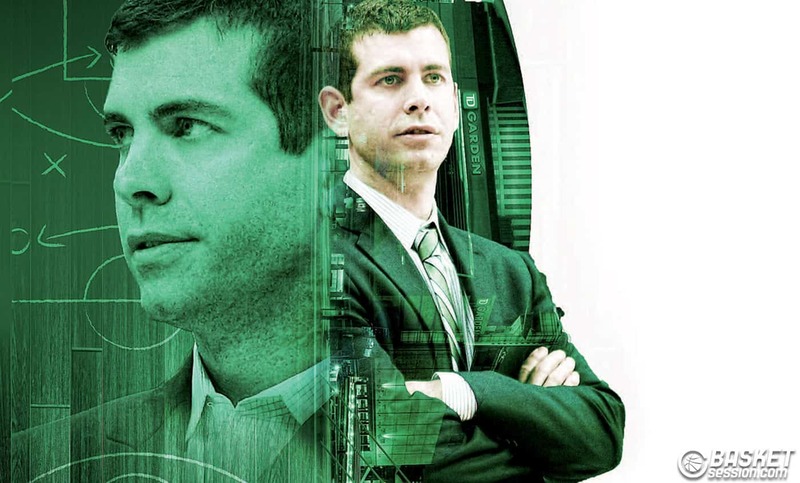 Or because this team is coached by Will Hunting's genius uncle Brad Stevens? The answer is yes. To all of them. 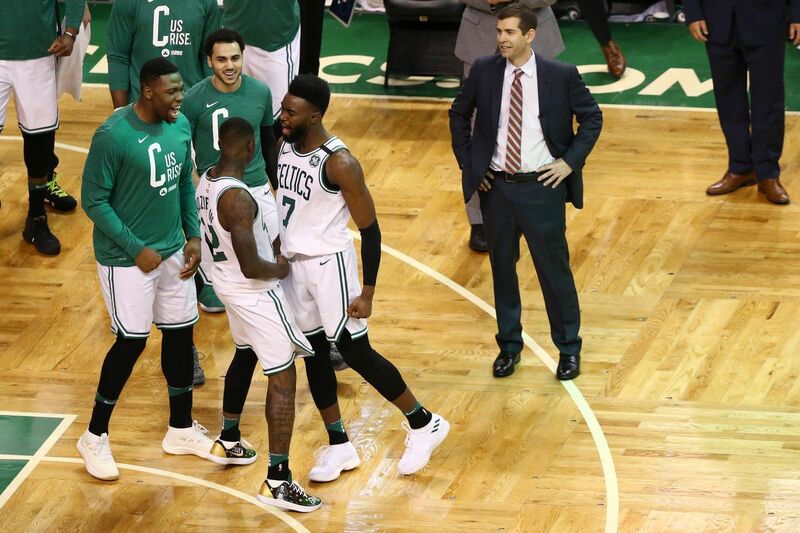 From having to welcome a brand new team (minus four returning players) in the offseason, to dealing with one all-star going down for the year opening night, losing key role players and, ultimately, losing their superstar/team captain for the season, all odds were stacked against coach Brad Stevens and these Boston Celtics. Pundits wondered if they would even make the playoffs. They did, securing the #2 seed. In the playoffs, they should've crumbled. They should've lost to The Greek Freak. If not, definitely to Embiid and Simmons. But they didn't. For the 2017-2018 Boston Celtics, specifically throughout the postseason, together, everyone really did achieve more. And that's no cliche -- it's just the truth.